Several community boards in La Jolla have signed a joint resolution asking San Diego Mayor Kevin Faulconer to regulate bikeshare programs that provide users with dockless bikes. These companies such as OFO and LimeBike allow individuals to locate the program’s bikes through an app, rent them for the duration of their journey, and then leave them freestanding once the rider arrives at their destination. The resolution has thus far been approved by the La Jolla Town Council, La Jolla Parks & Beaches, La Jolla Planning Association, Bird Rock Community Council, and La Jolla Traffic & Transportation in their separate meetings. The La Jolla Shores Association, however, has refused to sign the document and instead sent a letter to Faulconer and City Council member Barbara Bry requesting an outright ban on the programs instead. 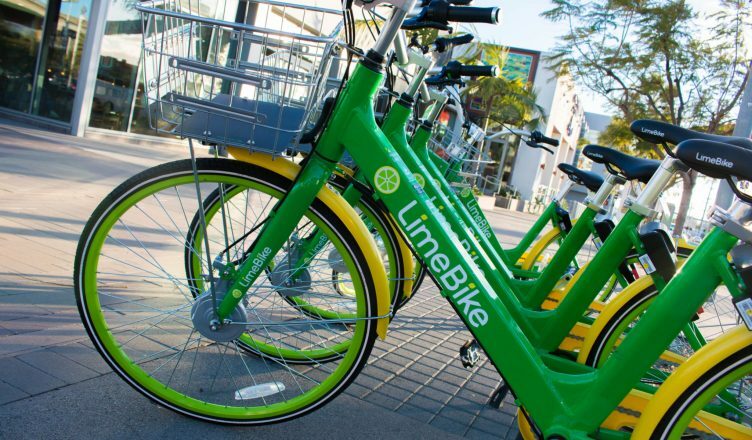 According to the La Jolla Light, the resolution to regulate the dockless bikes asks for measures controlling where the bikes may be left, as they can currently be placed almost anywhere once the rider has completed their trip. The LJP&B is also considering establishing bike racks and other structures in the area so these bikes and other modes of transportation, like Bird’s electric scooters, can be kept in central locations as opposed to dispersed randomly, La Jolla Light reports. LJP&B trustee Stratford Collins noted that other San Diego areas have crafted bike racks unique to their local culture, and her group would like to do the same. LJSA expressed almost unanimous disagreement with the other boards and their plans at their May 9 meeting where they voted 11–2–1 to not sign the joint resolution requesting regulation and to stand by their stance on banning the bikes instead. LJSA Chair Janie Emerson noted at the meeting that she advocated prohibition to the heads of the other organizations, but they did not seem to agree with her concerns. Other localities such as San Diego proper and Coronado have also sought to ban the dockless bikes, citing concerns about harming local businesses, injuries from collisions with the bikes, and the untidy look of the bikes. UC San Diego itself began partnering with Spin, a bikeshare program that can be recognized by its bright orange color, in December 2017. However, UCSD previously ordered OFO to remove its bikes from the campus after claiming that the company never received approval from Transportation Services, among other issues. It does not appear the resolutions to either regulate or ban the dockless bikes by the La Jolla groups will have any effect on the UCSD campus itself. I am for the first time here. I came across this blog and I find It really useful & it helped me out much. I hope to give something back and aid others like you helped me. I think this is engaging and eye-opening material. Thank you so much for caring about your content and your readers. Hmmmm…a need for responsible use accountability, etc yes. In the name of safety the issue of helmets, like seat belts for cars, doesn’t seem to be in the forefront of discussion. More an extension of the “overnight parking syndrome” in the discussions. An out right ban…is this another measure of “Privilege control” of the very measures of “outsiders” entrance & exit to the community without proper “gate entrance”, segregation & isolation in the brow of society. The community needs to be pushed back once again in it’s efforts to discriminate, avoid progress, not too long ago real property was used to discriminate against the Jewish population, now tourism & bohemians at gates entrance. Real property the attachment through person property to gain jurisdiction to limit human rights. People are not the personal property of government. Balance between homesteader & nomadic living. Address the fundamental issues not the surface perceived issues. You can’t see your back without multiple mirrors, perspective & consciousness needs awareness, sensitivity to understanding in light of the marine layer at summits westerly mountain’s edge, Soledad public or private all over again.